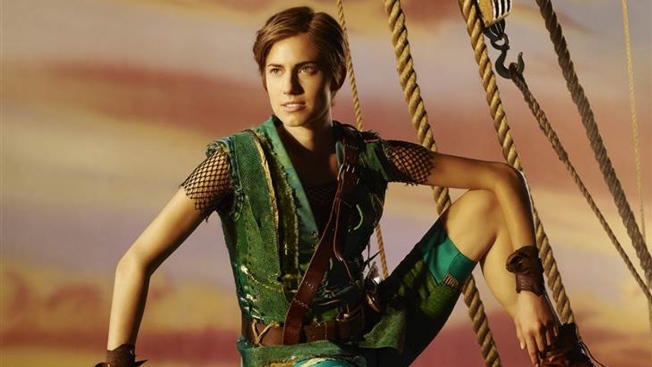 Allison Williams is set to play the starring role in NBC's "Peter Pan Live." "Peter Pan Live!" has found its Wendy Darling and Tiger Lily. NBC announced Taylor Louderman will play Wendy Darling and Alanna Saunders will take on the role of Tiger Lily in their live musical production. Louderman played the lead in Broadway's "Bring It On: The Musical" and was part of the touring casts of "Annie," "Joseph and the Amazing Technicolor Dreamcoat," "Grease" and "Aida." Viewers familiar with the story know Peter Pan, played by Allison Willams, and Wendy have a special bond. Saunders will play the native American who rules her "islanders" on Neverland before being captured by Captain Hook (Christopher Walken). Her credits include "Gypsy" and "A Chorus Line." She is a descendant of members of the Cherokee Nation. The cast of "Peter Pan Live!" also includes Christian Borle and Kelli O'Hara. The NBC live musical hails from "Smash" and "The Sound of Music Live!" veterans Craig Zadan and Neil Meron. "I have wanted to play Peter Pan since I was about three years old, so this is a dream come true," Williams said in a statement. "It's such an honor to be a part of this adventure, and I'm very excited to get to work with this extraordinarily talented team. And besides, what could go wrong in a live televised production with simultaneous flying, sword fighting and singing?" "Allison Williams is a major find," Zadan and Meron said in a statement. "She will reinvent the iconic role of Peter Pan with her wit, her warmth, her dynamic flying and her wonderful musical abilities. The score will be sung beautifully and introduced to a whole new generation of families." NYT Editor: Story on Shonda Rhimes Was "Out of Touch"
CLICK: Dream casting Peter Pan Live! In September NBC revealed Williams in costume as Peter Pan. Despite her offer to cut her hair, the cropped hair is a wig. "Peter Pan Live!" will air from 8 to 10 p.m. on Thursday, Dec. 4, on NBC.